1700 delegates at Alzheimer’s conference witness breakthrough technology for managed care: WATCHIE is a unique solution for people management, giving caregivers the ability to know where persons are located, both indoors and outside, anywhere at any time. u-blox, the Swiss positioning and wireless chip and module company, has provided their CellLocate™ hybrid GPS/cellular positioning technology to LOSTnFOUND, a Swiss based company specializing in intelligent solutions for the protection, monitoring and retrieval of people and property. The award winning product, “WATCHIE®”, was announced at the 27th International Conference of Alzheimer’s disease last week in London. 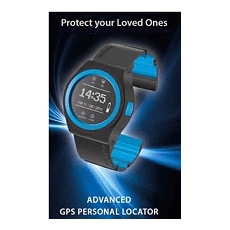 WATCHIE is a wristwatch that capitalizes on the CellLocate positioning system integrated in u‑blox’ LEON GSM and NEO-6 GPS module. The solution intelligently combines GPS satellite and mobile phone positioning data to support universal positioning, indoors and outside. The solution allows caregivers to pinpoint the location of a person, even when GPS signals are weak or 100% blocked such as within hospitals, assisted living facilities, garages and shopping malls. WATCHIE works in 145 countries thanks to its integrated SIM-card. It is inexpensive, flexible and easy to configure and use. Features include panic button which transmits position data instantly, fall alert, programmable SafeZones that trigger an alert when the wearer strays outside defined areas, and comprehensive, user-friendly web-based control panel for management of multiple units. Individuals suffering dementia are prone to wander away unintentionally, and in seconds can become confused and lost. This is a problem as caregivers cannot always be present to watch over them. Currently available monitoring systems are also questionable in their approach to the privacy. They also only function in designated areas, and do not work indoors. For more information about WATCHIE, visit www.watchie.com. 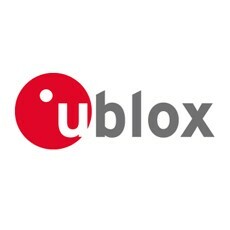 For more information about u-blox’ CellLocate indoor positioning technology, visit www.u-blox.com/en/celllocate.html. WATCHIE® is a product from the Swiss based LOSTnFOUND Ltd. A specialized company in intelligent solutions for the protection, monitoring and recovery of property – from the safeguarding and identification of mobile devices to the online tracking of vehicles and technical equipment. The company developed the first solution in this area in 2007 and is today one of the leading providers in this market. The company, which maintains support centers in various countries in Europe, has concluded appropriate general agreements with more than 75 network providers and offers all its products with their own SIM card. The products already work in over 145 countries. To find out more about LOSTnFOUND® please visit www.lostnfound.com or www.watchie.com.